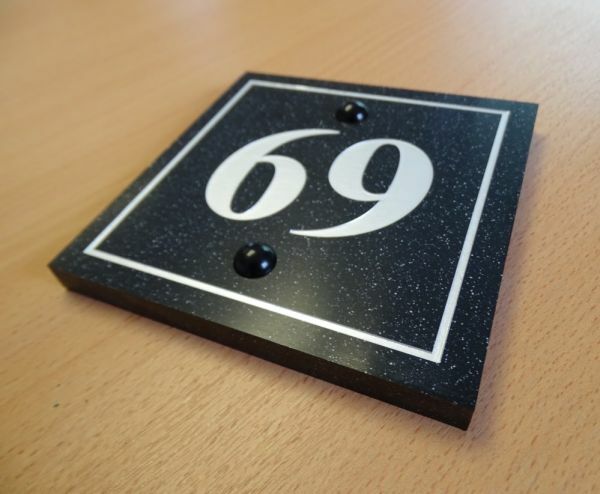 Stand out on the street with this magnificent Quartz Effect Corian Nameplate. Maintaining its fabulous look for years, this Quartz Effect Nameplate is supplied in a 12mm thickness with bevelled edges and far more durable to real stone. Engraved with your own requirements and filled with a prominent contrasting colour, nameplates are supplied with suitable screws and powder coated caps by default or without any fixing at all should you desire. 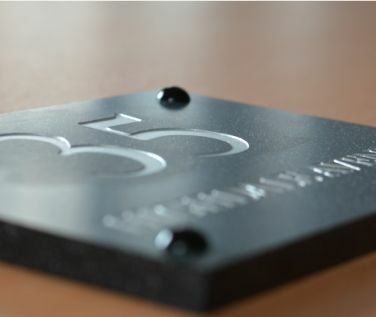 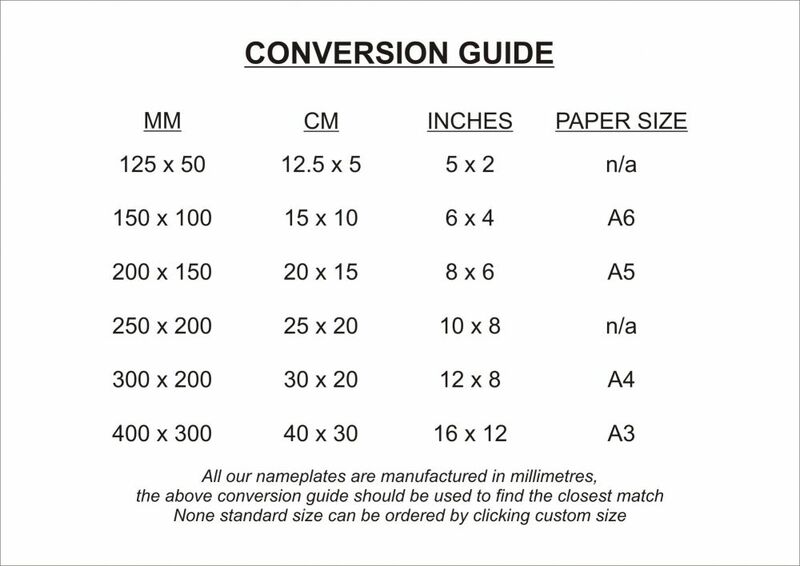 Logo’s and borders can also all be included to enhance your nameplate. The scalloped border incorporates scalloped corners which surround and highlight the screws. 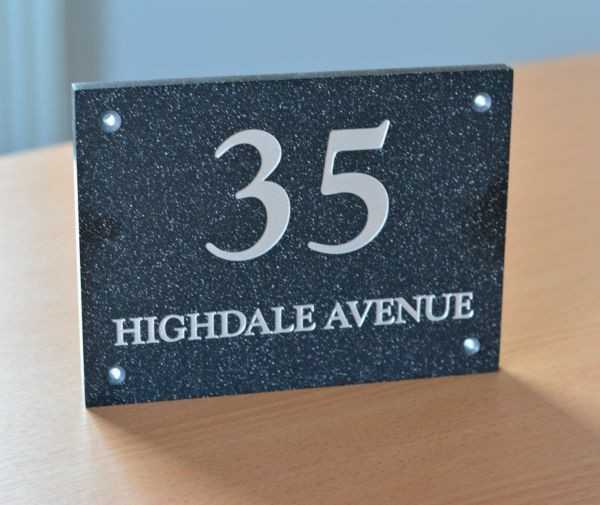 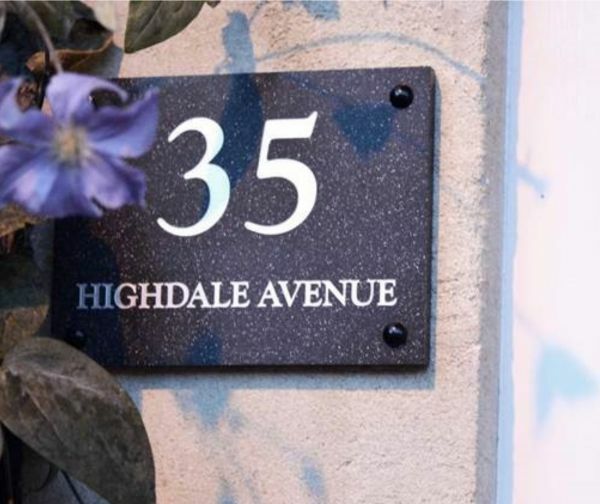 Quartz Effect House Nameplates are supplied with 4 x fixing holes (2 x fixing holes on sizes 100 x 100 & 125 x 125mm), screws and powder coated domed cover caps. 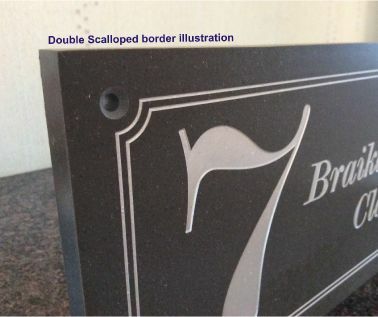 To view a video tutorial on how to fit your plaque please click here.